How to Choose an Umbrella. Everyone needs an umbrella! Whether you're searching for a basic, collapsible rain umbrella or an umbrella with artistic flair, read on to make an educated purchase. Consider the weight and bulk of the umbrella. If you're a frequent traveler, lighter and more compact is better. Find an umbrella that is easy to open and close. Again, if you're a traveler who may have bags and other items to carry, consider an automatic opening button. Some umbrellas also close automatically, another boon to the traveler or shopper. Think about the size of the umbrella hood when opened. 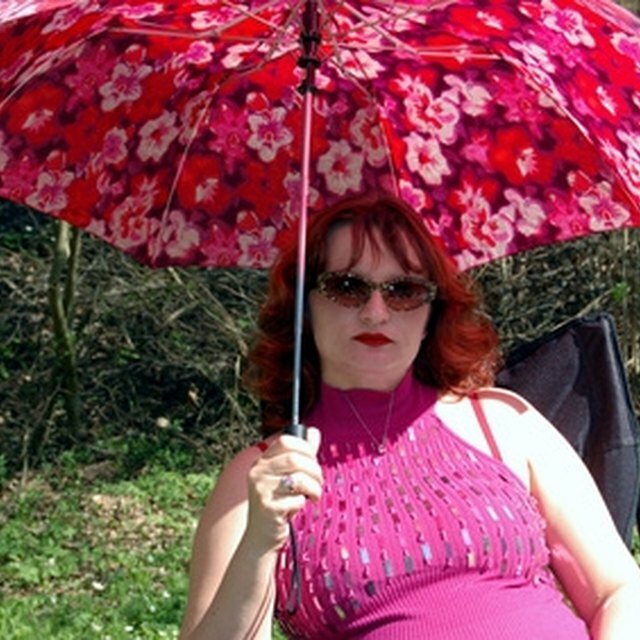 Collapsible umbrellas can open to between 42 and 44 inches, which provides excellent coverage. Get an umbrella that is weatherproof and windproof, meaning it won't rust and won't turn inside out in high winds. Choose a Teflon-treated hood. The nylon repels water and the hood will dry quickly. Consider the color and design. You won't have many matching dilemmas if you opt for a basic, neutral color such as black, beige or gray. Make sure the umbrella has its own pouch for storage. It's also handy if the pouch has a clip or loop to carry the umbrella easily. Check the warranty. Some umbrellas actually have lifetime warranties. Ask about the return policy, in case you decide to return or exchange the umbrella. If you're buying an umbrella as a gift, be conservative in the color or design that you pick, especially if you don't know the recipient's tastes. You may like cats, but Uncle George may not like pictures of kitties all over his umbrella. A basic, neutral color such as black or gray is the best choice. Some umbrellas come with amazing features, such as small lights on the handle to illuminate the user's way in the dark. You can purchase an inexpensive umbrella for less than $10, but you'll probably want to spend between $20 and $30 for a good-quality umbrella.